Remember: Ghosts are the spirits of people who have died. This is important to remember. Are we to believe that the moment people die, they turn evil? Every single person? Do they all deserve to be locked up into some spiritual Guantanamo Bay by a group of self-appointed vigilantes with no due process under law? Perhaps ghosts are restless souls who need to resolve their issues before the cross over into the afterlife. They won't do that trapped in the Ghostbuster's Containment Unit! What gives the Ghostbusters the right to imprison anyone they want to and deny them the chance to reach heaven? If I die and am still hanging about my house as a ghost, is it moral for the Ghostbusters to lock me in their basement forever if the new owner of my house wants me gone? "But the Ghostbusters defeated some real nasty ghosts too!" you might say. Well, two good deeds don't wipe out mass imprisonment of innocents. But let's take a look at these two 'villains'. Was Gozer really that bad? He/she/it never killed anyone. Sure, Gozer's minions were a bit naughty, but this amounted to setting up house in a fridge and letting some dogs loose around town. Hardly a high crime! And Gozer himself seemingly only wanted to play some sort of David Bowie tribute concert atop a building - no different to the Beatle's famous performance atop the Apple building. Gozer only turns violent when the Ghostbusters turn up to try and kill him... who's to say the Beatles wouldn't have done the same in a similar situation? And who unleashed the Stay Puft Marshmallow Man on New York City? Ray Stanz, that's who! 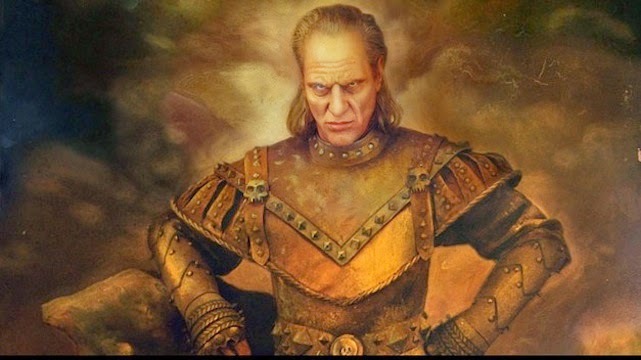 What about Vigo from the second film? Again, the Ghostbusters set out to kill him, but what had he done wrong? Yes, he may have been a bad man in the distant past, but he hadn't committed any crimes on US soil (and if he had done so, it would be a matter for the local police, not four men with nuclear reactors strapped to their backs). Dana's child is kidnapped, but that is done by Janosz, not Vigo. Vigo is not responsible for what Janosz does. He asked Janosz to bring him a child, but perhaps he was expecting Janosz to place an advert in the local paper and follow appropriate safeguarding procedures, not dress up as an evil flying nanny. Being a painting isn't a crime! Last time I checked, creating a river of slime beneath New York is not a felony! And who stole the Statue of Liberty and used it to attack the Manhattan Museum of Art? The Ghostbusters, that's who! The Ghostbuster films were made by some very clever people. It's a satire - at every point, the Ghostbusters do dodgy, immoral and downright villainous things. They persecute innocent ghosts and cause destruction by going after targets they deem to be 'evil' without any real evidence aside from the fact that their targets are supernatural. That's why these films are so clever, they expertly play with audience perceptions. Hm... I thought this blog was for crazy theories? This one is disturbingly plausible. Oh not the part about Gozer being anything but an evil force, but the part about the Ghostbusters being violent vigilantes who lock people up forever merely for being scary looking seems true enough.